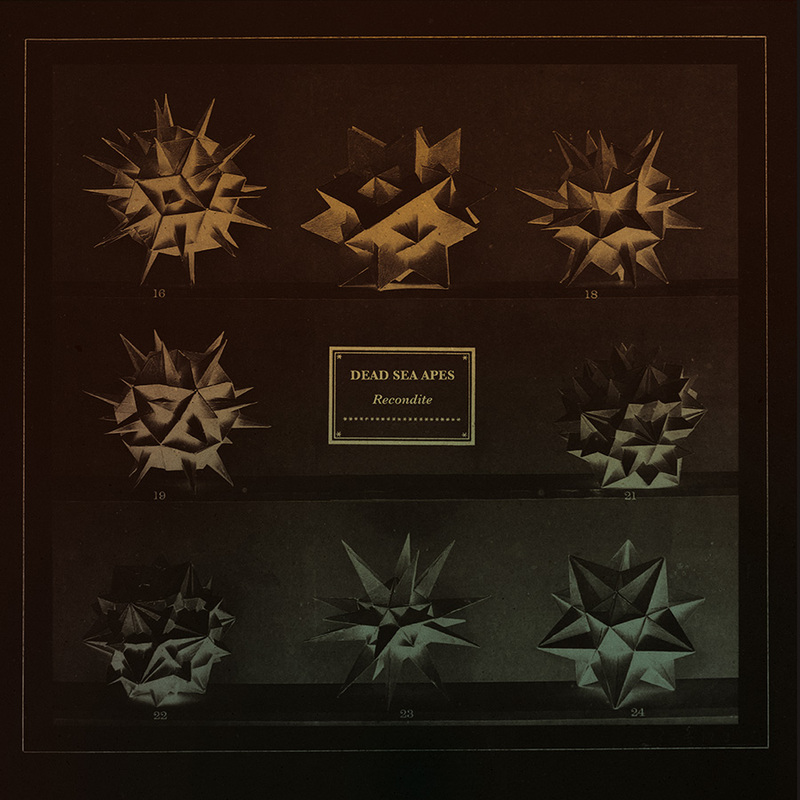 Dead Sea Apes are a force to be reckoned with on their latest record Recondite. Album opener “Tentacles” sounds like a collaboration with Mark E. Smith and Lee “Scratch” Perry; it’s edgy, hypnotic, and will have you swimming in its turbulent wake. “Coronal” is a wildly different beast all together, a mercurial number that builds from a slow repetitive guitar line that swirls over itself and then blossoms into a full-on bloodletting. The vibe on this track reminds me of Tucson, Ariz., band The Myrrors . As the trance inducing gyrations became more feverish, I began to feel uncomfortable in my own skin. Then all of a sudden, my past present and future appeared in stunning clarity right before my own eyes. The feeling was devastating. I began to long for the genie to be put back in the bottle, but no such relief would be had. As the song ended it was like an LSD trip that I had to spend the next few days trying to shake off but just couldn’t. These two tracks are worth the price of admission alone, and while they blew me away, they were merely a taster of even greater things to come. “True Believers” is edgy, brooding, and a massive crack to your cranium, giving full flight to the bands heavy psychedelic detonations. “The Recognition” is an intensely dark piece that incorporates violin into the mix and feels like the bands version of the old west. In fact, as the tension ratcheted up and began to seethe, I sensed an artistic nod to both Sixteen Horsepower’s Eugene Edwards and film director Sam Peckinpah, coursing through the veins of the song. “Rethreads” has a spare feel and feels influenced by the Hair and Skin Trading Company album Psychedelische Musique. Here, the effects-laden guitar squalls are the equivalent of gamma bursts being spewed from a collapsed star. Disturbing and singular in vision, the track eventually devolves into orchestrated chaos where the assorted sonic emanations race by you and then morph and meld into a sonic mélange. The song grows increasingly devoid of all earthly context and pretense, and is then shaved down to its elemental core that eventually dives into the blackness of interstellar space. Cinematic in scope and not for the faint of heart, the Dead Sea Apes have simply speaking blown me away with every measure of music on this LP. Rest assured, people: This is one of the finest bands creating psychedelic music out there. Labels like Sunrise Ocean Bender deserve high praise for putting out records like this one. That said, I see that the double gatefold LP has already sold out on the band’s website, so until the album is reissued, I guess digital will have to suffice. (I’m already on Discogs and eBay, looking for the real deal, bro. — Anti-digital/Pro-vinyl Ed.) It seems that the future of psychedelic music is in good hands people.